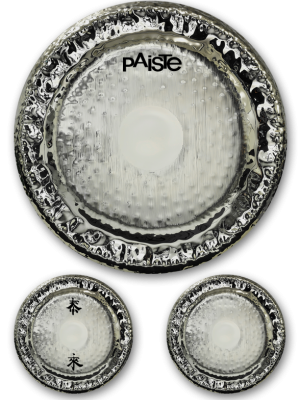 Paiste takes pride in their Brilliant gong series. As they put it, “The sound of these gongs can be influenced and varied through the nature of the stroke, as well as the size, weight, and composition of the mallets used to strike it. By varying the striking points, highs, lows, and various sound mixtures contained in the entirety of the gong’s sound sphere may be extracted and played up."